For more features try MathAlarm Plus. Awake to Arithmetic. 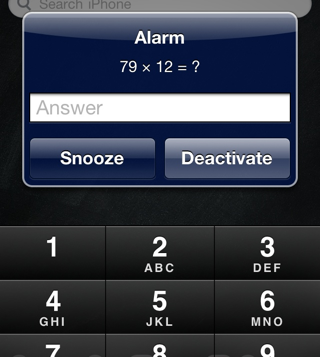 Requires that you solve a math problem to deactivate your alarm set with Clock app. No icons are added to your home screen. There are no options top configure with this Tweak.